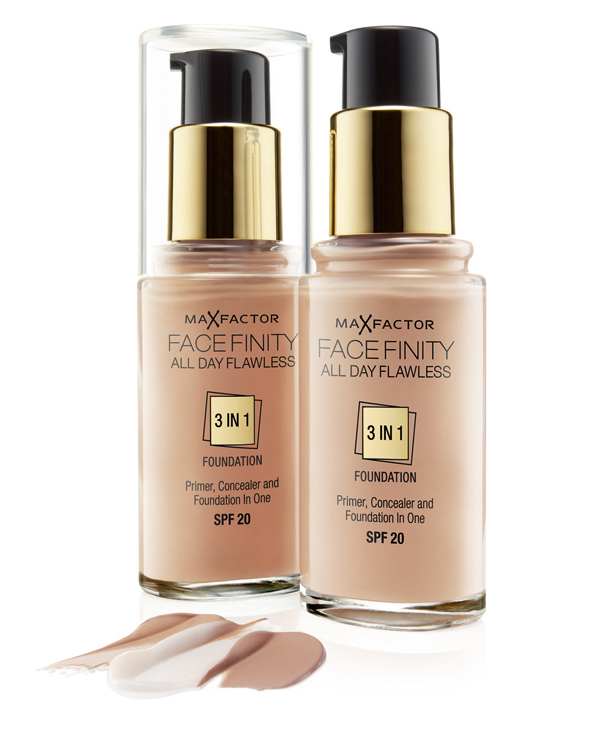 Those formulas were combined to reach a perfect protection and flawless result, which will make you feel confident all day long.. It has 10 shades; from the brightest to the darkest. I choose 77 Soft Honey. The bottle is made of glass with plastic transparent cap. The pump is adjustable. We can rotate the pump to lock or unlock, which can prevent product leakage. I applied it on my face at 10 am. 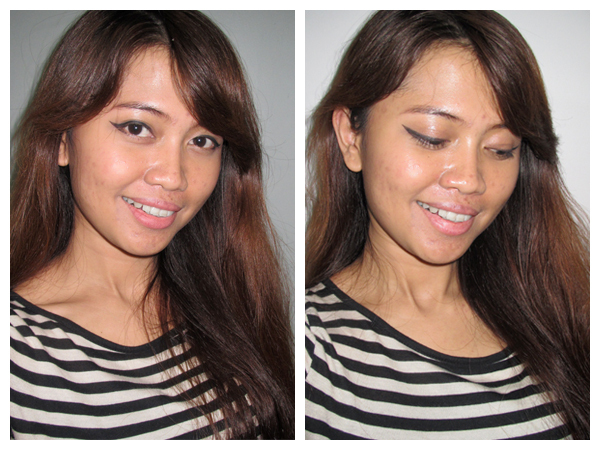 Here, you can see the before-after picture without editing. You can see blemishes, dark circles and redness on my face before. I applied thin layer of it with sponge. The coverage is quite good. 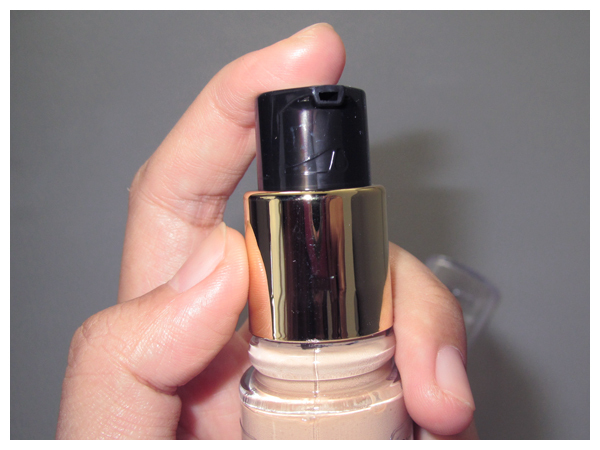 It also brighten up my face, although I use the dark shade. The product blends well with my skin tone after a few hours. You can see it on the left picture below that taken at 4 pm. It still looks good. 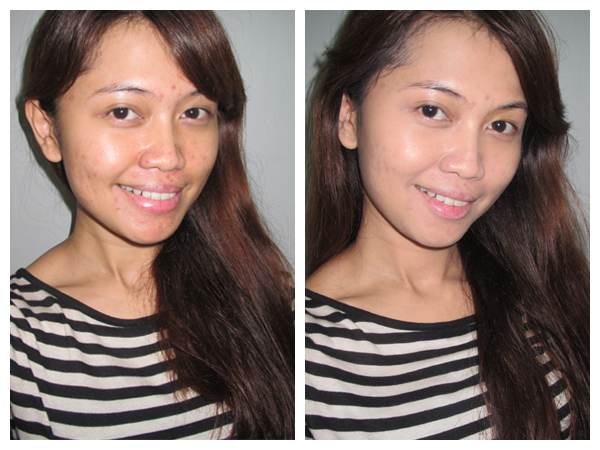 The right picture is taken at 11 pm, 13 hours after the application. Yes, my face is super duper oily at the end of the day.. XD So in my opinion, the staying power is not that long on the oily skin, but quite good lah. It stays matte for 6-7 hours. - The texture is light, not sticky. It glides easily on my skin. - It's easy to blend with finger, brush or sponge and also very buildable. - The coverage is medium, quite good. It covers my redness and dark circles, but need 2-3 layers to cover blemishes. 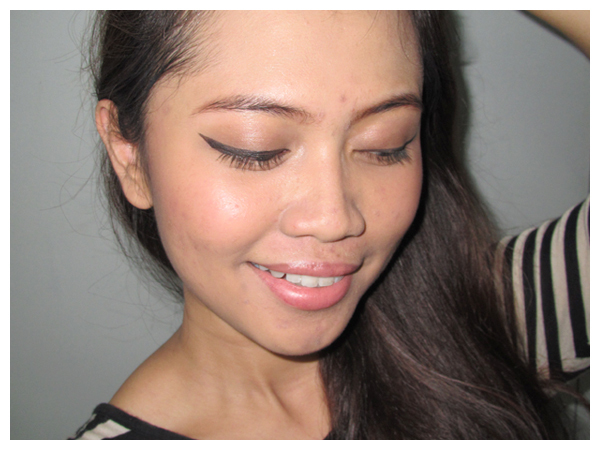 - The staying power is quite long, but I still need a primer since my skin is very oily. - I love the pump. It's adjustable . - It has a matte finish but doesn't break me out. - The smell is tolerable. - My big pores look a little more visible after a few hours. - It looks lighter on my skin tone, although I choose the dark shade. So, we have to apply it on neck and ears too. But it blends well with my skin tone after a few hours. 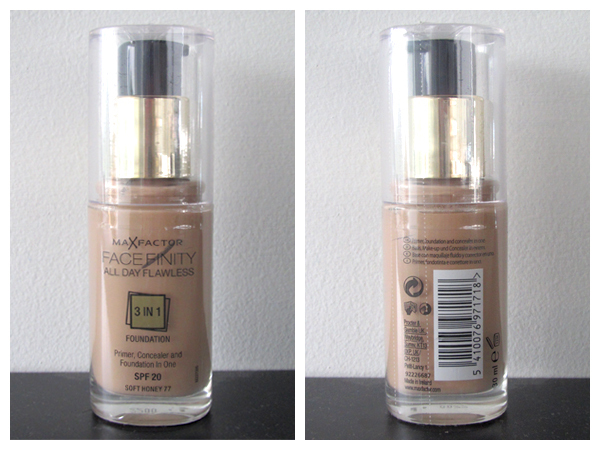 Overall I like this foundation, an instant makeup base for everyday makeup. I think the staying power will be longer on the person with normal skin type. I reccomend this product to you, ladies..! This looks like a decent product, love the result and coverage. The coverage seems quite promising. Well, I have oily skin too, most foundie easily get melted on my face. The fact that this one can stay for 6-7 hours is good enough I guess.